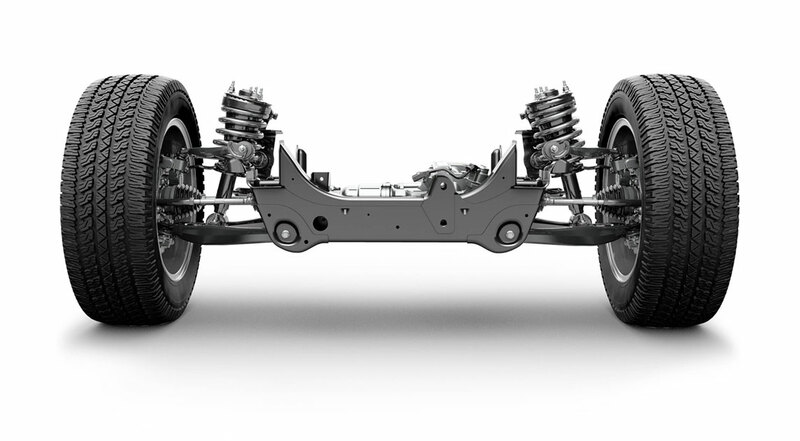 Besides your tires, your vehicle's suspension - including springs, shock absorbers, struts, control arms, and ball joints - is the primary system that separates you from the road. It is designed to keep your tires connected to the road to give you a quiet, comfortable and safe ride. Over time, suspension components will wear out due to a number of factors. Because of the climate extremes we experience in Rochester, MN and how the road surface changes due to the extremes, creating potholes and cracked roads, suspension repairs may be needed sooner than in areas where roadways are smooth. Furthermore, the sand and salt on the roadways in the wintry months, plus the rust that may result on the underside of your vehicle, can affect your suspension components in negative ways. Taking care of any suspension repairs before they become major and/or unsafe is important. Depending on the severity of a suspension problem, you may experience any number of conditions - from minor to major - such as an uncomfortable bouncy ride from prematurely or abnormally worn tires, certainly an unsafe condition for you and other motorists. If your tires wear abnormally due to suspension issues, traction might be affected, making your vehicle unsafe. You'll have to replace tires more often, which costs more. If your vehicle drifts or wanders due to loose components, you could lose control of your vehicle. If a component of the system breaks, you could end up stranded or cause an accident affecting you, your loved ones or others sharing the roadways. Clearly, an experienced suspension repair shop is essential. At Babcock Auto Care, our ASE-Certified Master Technicians use modern equipment and up-to-date methods to thoroughly diagnose your suspension repair needs. The health of each component will be inspected and you will be advised of any concern we find, the severity of it and what will need to be replaced to keep your vehicle healthy and safe on the roads. Our expert technicians and incredible service team is what makes us not only a great suspension repair shop, but the best auto repair shop that will care for you and all of your automotive needs.